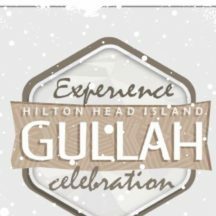 January 31 – February 28: 23rd Annual Hilton Head Island Gullah Celebration at various locations. 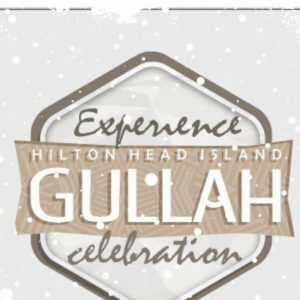 A month-long celebration showcasing the rich cultural heritage of the Gullah people and their history on Hilton Head Island with art exhibitions, gospel concerts, festivals, tours, lectures and more. 2019 Hilton Head Island Gullah Celebration – Opening Party: January 31, 6-9 p.m.
Art League of Hilton Head Gallery at the Arts Center of Coastal Carolina, 14 Shelter Cove Ln. The Opening Party is the first opportunity for patrons and friends to see the display of original work by emerging and leading artists at the Arts Ob We People: Winter Exhibition and Sale. Free Will Offering. 1 & March 2, 10 a.m.-4 p.m. 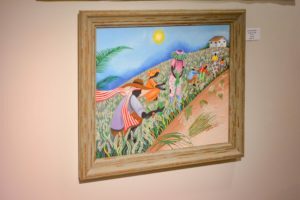 The Arts Ob We People: Winter Exhibition and Sale is a display of original work by emerging and leading artists that represents the life of Gullah people on Hilton Head Island and the surrounding community. Artists will be on-site at various times throughout the exhibit; check for exact schedules at gullahcelebration.com. Private group tours are available by request. Free Will Offering. Ol’ Fashioned Gullah Breakfast: February 2, 8 a.m.-12 p.m. Historic Cherry Hill School, 209 Dillon Rd. 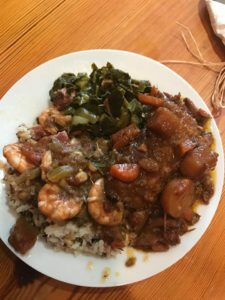 Home cooking that shows some, and reminds others, of a traditional Gullah breakfast: featuring your choice of stewed oysters, shrimp in a savory Lowcountry gravy, fried fresh catchfish paired with hot butter grits and fresh biscuits. Meals are prepared by people of the local Gullah community, coordinated by Ooman Chef Louise Cohen. $12. Freedom Day: February 2, 11 a.m.-1 p.m.
National Freedom Day was established in 1948 by President Harry Truman, in remembrance of February 1, 1865 — the day President Lincoln signed the 13th Amendment to the U.S. Constitution which outlawed slavery. This year we will take a journey through historic Mitchelville. On this tour you will learn more about what the people of Mitchelville were busy creating in 1862 before the Emancipation Proclamation was signed, and how those citizens would create a guidepost for generations to follow. Free Will Offering. Family And Friends Day: February 5, 7-8:30 p.m.
First African Baptist Church, 70 Beach City Rd. Join historic First African Baptist Church for Family Night Program. This program will focus on the Traditional and Contemporary Gullah songs, followed by a reception with samples of authentic Gullah food. Free Will Offering. Gullah Music Series Featuring The Voices Of El Shaddai: February 8, 7-8:30 p.m.
Queen Chapel AME Church, 114 Beach City Rd. Celebrate and honor the spiritual thread that binds the African ancestors and the Gullah of today. This installment to the Gullah Celebration’s annual music series features the renowned Voices of El Shaddai. Free Will Offering. Sweetheart Ball: February 9, 7-11 p.m. The Northridge Club, 435 William Hilton Pkwy. Are you ready to dance? This event is sure to keep you dancing all evening long with music performed by Stee and the Ear Candy. With the purchase of your ticket you can enjoy the delicious buffet of Lowcountry foods. You can add beer, wine or spirits of your choice at our cash bar. $65. Taste Of Gullah: February 9, 12-3 p.m.
Arts Center of Coastal Carolina, 14 Shelter Cove Ln. This one-of-kind event is an afternoon filled with authentic Gullah dishes such as okra gumbo, conch stew, fried shrimp dusted in traditional Gullah seasonings and classic barbecue favorites like chargrilled chicken and ribs. While you eat you can enjoy the entertainment of several local artists, including traditional dancers, musicians and storytellers. $12. “Hilton Head Island Back In The Day: Through Eyes Of Gullah Elders”: February 9 & 21, 7-8:30 p.m.
Coligny Theatre, 1 North Forest Beach Dr.
A feature-length documentary featuring Gullah elders, the descendants of freedmen, based on the historic Hilton Head Island in South Carolina. They share personal stories about their communities, farming, fishing, upbringing, church, education, Northern Migration, food ways, language and the development that came with the construction of the bridge in 1956 and how it greatly impacted their lives. $7. Gullah Institute Presents “The Impact Of The Great Migration On Gullah Culture:” February 10, 4-6 p.m.
Come hear from historians, authors and artists, including a fireside chat with Dianne Britton Dunham and Anita Singleton Prather, on the impact the Great Migration (1916-1970) had on the American South. Plus, a special presentation of culture and community awards for outstanding leaders and supporters. $20. Soul Food And Friends Cooking Classes: February 12 & 26, 6-8 p.m.
Great cooking is about more than recipes – it’s about techniques. In our classes you’ll work together with other students in a fun, hands-on environment led by authentic Gullah chefs. Get tons of hands-on practice in preparing Lowcountry favorites using locally sourced foods. $40. Paint And Sip: February 13 & 26, 6-8 p.m.
Join us for a two-hour session and create memories that will last a lifetime. Exhibiting artists in the annual Arts Ob We People Exhibit and Sale will guide you with stroke-by-stroke instructions to ensure you paint your own unique masterpiece. Be sure to bring your favorite beverage (soft drinks, beer or wine; no spirits please). $30. Gullah Music Series Featuring Male Choruses: February 15, 7-8:30 p.m. Celebrate and honor the spiritual thread that binds the African ancestors and the Gullah of today. 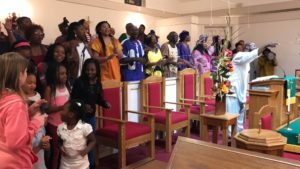 This installment to the Gullah Celebration’s annual music series features the Male Choruses from Campbell AME Church, First African Baptist Church, Mt. Calvary Baptist Church and St. James Baptist Church. Free Will Offering. The Gullah Market: An Arts, Crafts And Food Expo: February 16, 11 a.m.-5 p.m. Historic Honey Horn, 70 Honey Horn Dr.
An all-access experience of Gullah culture! 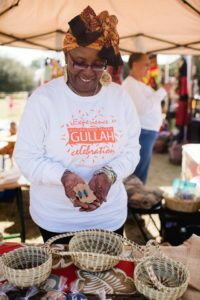 The annual Gullah Market offers cultural demonstrations, authentic Gullah and African crafts and food for sale, as well as an offering of traditional storytelling, musical entertainment and the Celebration of African-American Authors. An event to be shared with family and friends, or for you to make new friends! Featured performances by the Gullah Geechee Ring Shouters, Wona Womalan West African Drum and Dance Ensemble, Gullah Ooman Louise Cohen and more. $10/general admission, $5/youth (5-12) and FREE for those 4 and under. Community Day At The Gullah Market: February 17, 11 a.m.-5 p.m. Experience the ties that bind the community of Gullah people through praise and worship, followed by a Community Block Party featuring a battle of marching bands, bounce castles, health screenings, the Gullah Rappers and more! Plus, authentic art, food and beverages for sale! Proceeds from Community Day will benefit youth programs in Beaufort County. $10/general admission, $5/youth (5-12) and FREE for those 4 and under. Gullah Music Series, Featuring Gospel Classics: February 22, 7-8:30 p.m.
St. James Baptist Church, 209 Beach City Rd. Celebrate and honor the spiritual thread that binds the African ancestors and the Gullah of today. This installation in the Gullah Celebration’s annual music series features St. James Baptist Church Choir and Time 4 Two. Free Will Offering. Gullah Music Series, Featuring Gospel Choirs: February 28, 7-8:30 p.m.
Central Oak Grove Baptist Church, 161 Matthews Dr. Celebrate and honor the spiritual thread that binds the African ancestors and the Gullah of today. This closing event of our five-part music series features the Gospel Choirs of Central Oak Grove Baptist Church, First Zion Baptist Church Choir and Campbell AME Gospel Choir. Free Will Offering. Please call or visit the website to confirm dates, times, pricing and locations. (843) 255-7304 or gullahcelebration.com. Let the good times roll! Bluffton.com calendar provides a schedule of events along with detailed information regarding each community event. Search by month to view the many diverse arts and cultural events taking place every day in Bluffton. If we’ve missed something, you may Post Your Events Here and let everyone know what else is happening in Bluffton!